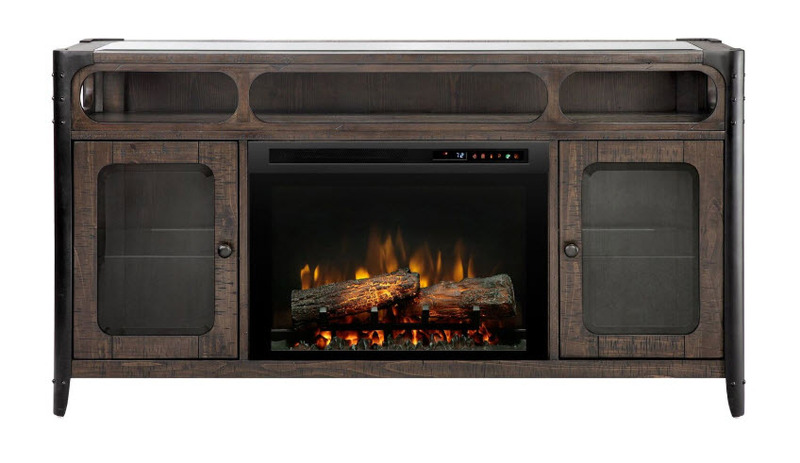 Stylishly rounded corners soften the edges of the Paige Media Console Electric Fireplace with its characteristic industrial chic flair. 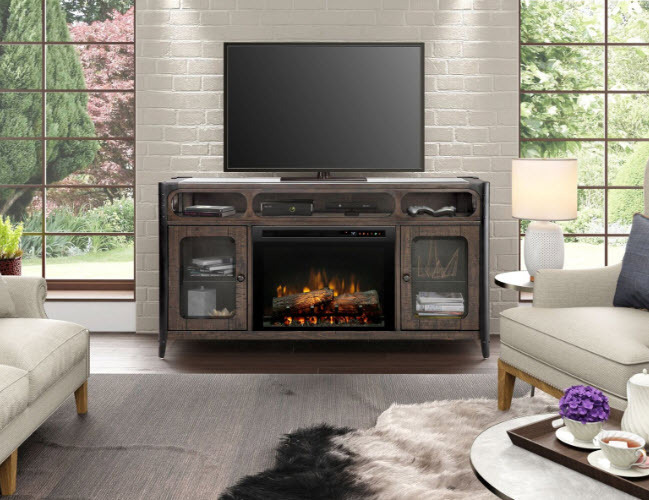 Riveted antique metal legs, beveled glass top and the distressed finish are just a few of the details that impress as you glance around the console. 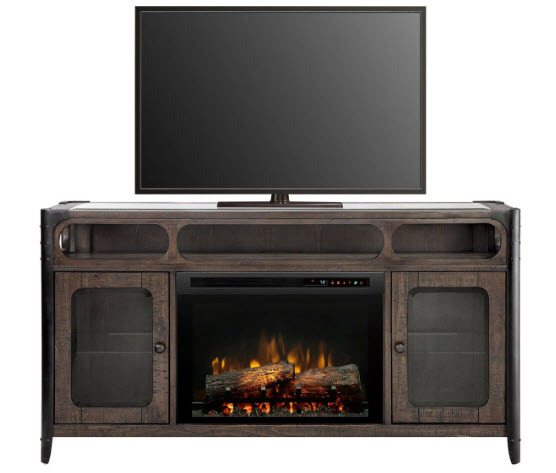 This versatile design makes a statement in any eclectic space, whether it’s an urban loft or a suburban living room. 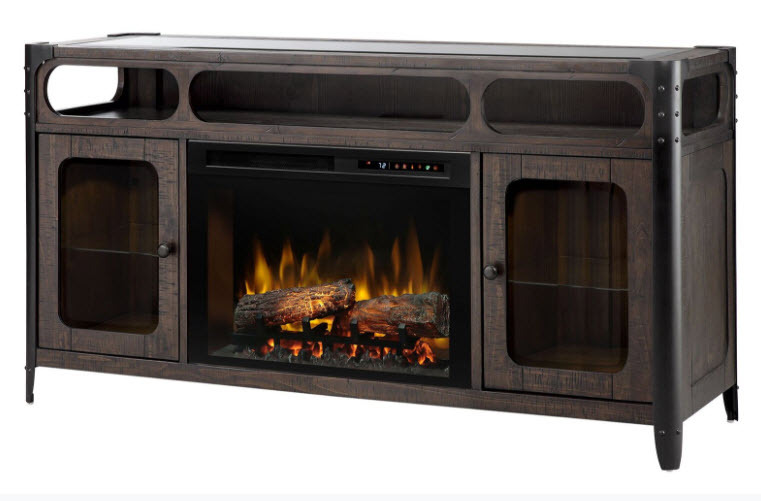 Log Accents: Select red or blue highlights to customize the flame or enjoy glowing logs and embers without the flames. Built-in Timer: Set for up to 8 hours. LED Lighting: Flame and lights use brilliant, low-energy LED’s that require zero maintenance. 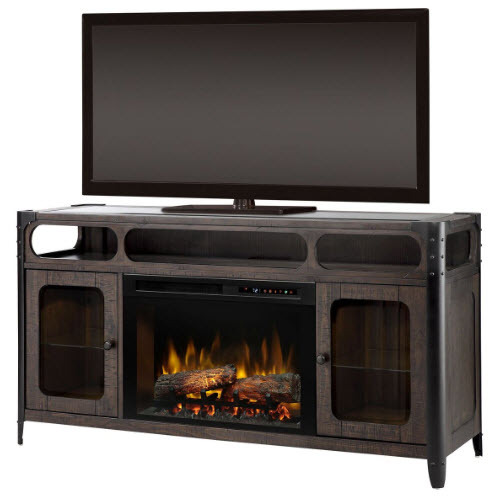 Powerful Heating: Powerful fan-forced heater features a safe, ceramic element that provides on-demand heat for up to 1,000 square feet. Just Plug It In: Simply plug into any standard household outlet for instant ambiance. Touch control interior lights – simply tap the metal leg to illuminate the storage cabinets.